The goal of the project CO2EXIDE is the establishment of an electrochemical, energy efficient and near-to CO2-neutral process for the production of the bulk chemical ethylene from CO2, water and renewable energy. One of the central steps is the development of a new type of electrolyser that enables a simultaneous reaction on both anode and cathode, which is more efficient in terms of energy and resources. The project CO2EXIDE follows a novel and highly promising path to deal with carbon dioxide: rather than depositing it, it recycles the greenhouse gas. Specifically suitable for CO2-intensive emission procedures like fermentation or biogas upgrading, its implementation will lead to an enormous reduction of greenhouse gas emissions. Compatible to the energy turnaround, the underlying electrochemical process uses renewable energy from renewable sources. Operating at low temperatures and pressures, the reactions will forecast significant improvements in energy and resource efficiency. Furthermore, the technology is suitable for the utilisation of excess energy or off-peak power and feasible for decentralised application, as adjunct to wind parks or solar-electric generation. 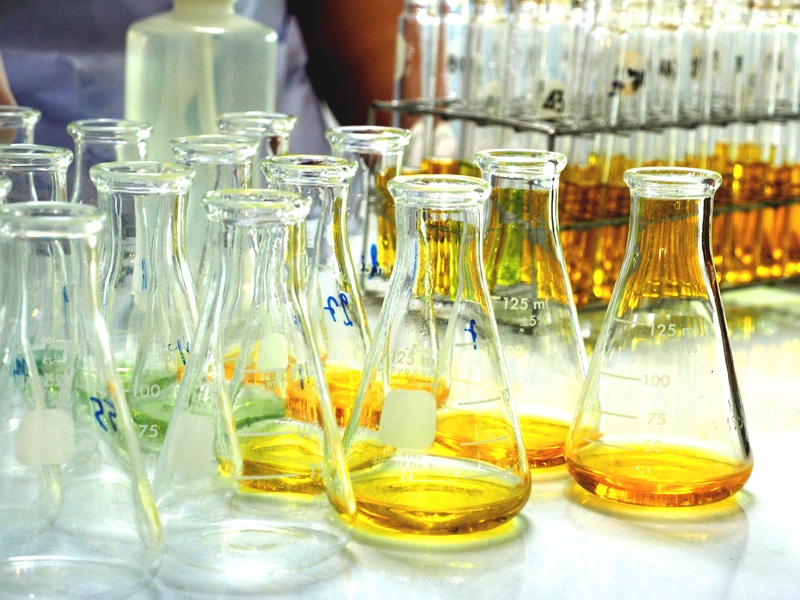 Ethylene is the basic product for the manufacture of many synthetic fabrics, it is for example used for the production of clothes, automotive or cosmetics. Until now, the up to 150 million tons annually demand of ethylene is derived from crude oil refinery processes. Carried out under high pressure and temperatures, the necessary cracking of the long-chain crude oil molecules consumes a high amount of energy. The CO2EXIDE process could substitute the fossil-based production of ethylene, thus fostering the establishment of sustainable supply chains. 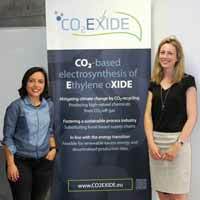 CO2EXIDE receives a three-year funding under Horizon 2020, the EU’s research, innovation and societal challenges programme. It is assigned to the SPIRE initiative, which aims at the development of enabling technologies and best practices along all stages of existing large-scale value chain productions that will contribute to a resource efficient process industry. 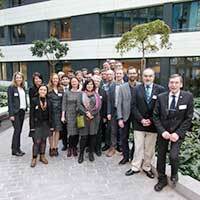 Ten organisations from six countries work together as part of CO2EXIDE, combining expert knowledge from the fields of electrochemistry, surface physics, apparatus engineering, energy management and communication. The news archive contains previous editions of the CO2EXIDE-newsletter and thus provides an overview on the project’s activities. This project has received funding from the European Union’s Horizon 2020 research and innovation programme under grant agreement No 768789.